The striker scored his eleventh hat-trick in the Premier League, equaling Shearer. The Guardiola sentenced the duel scoring four goals in 25 minutes. The City humiliated Chelsea (6-0) in a historic win in Manchester. A result that takes back to the team of Guardiola to the leadership of the Premier and leaves to the Chelsea and its trainer, Maurizio Sarri, in a very delicate position. The current English champion scored four goals in 24 minutes and the massacre was not even more devastating because the citizens lifted their foot off the accelerator and Kepa did what he could in the second half. 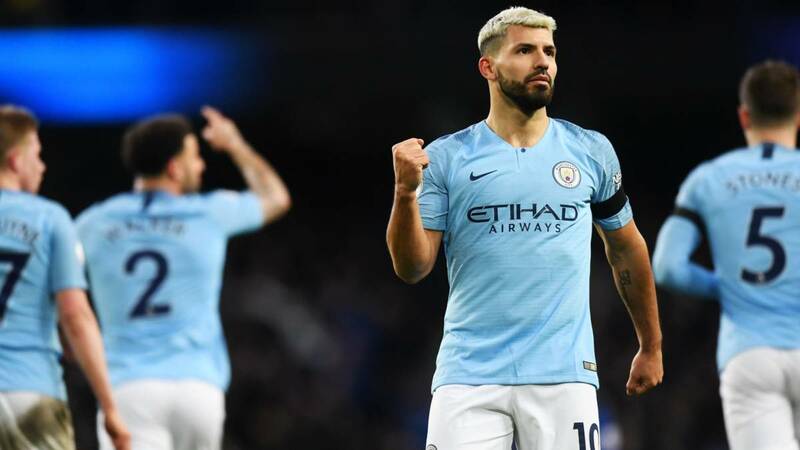 The name of the match was Kun Agüero, who scored his 11th hat-trick in the Premier League and matched Alan Shearer's record in the tournament. El City leads the league with the same 65 points from Liverpool, but with the advantage of the goal difference (53 to 44). Guardiola's team has eleven victories in the last twelve games, in which they scored 44 goals and only conceded five. Chelsea was already thrashed in the second consecutive game as a visitor and is sixth in the standings with 50 points, out of European positions. The City entered the field with the knife between the teeth and finished the game in less than half an hour . The 1-0 came out of a strategy play that was born from the vision and genius of De Bruyne. While the whole defense was waiting for a center, the Belgian took advantage of the Londoners' dismissal and transformed a foul some ten meters from the edge of the area in an incredible pass in depth for Bernardo Silva who invaded the area on the right and centered satin. The ball crossed without touching the entire rectangle until reaching Sterling, who finished strong diagonally to open the score. The City continued its harassment and Aguero forgave the 2-0 four minutes later. Bernardo Silva repeated the 1-0 start, but on the opposite side. From the left dribbled two defenders and focused satin for the Argentine striker who, only in the small area and empty goal, managed to do the most difficult, finish it off. But Kun was redeemed shortly after, scoring two goals in six minutes . The first was a painting. At 13 ', the striker received a pass from the left in the front of the area and released a zapatazo to the square of Kepa, who could do nothing. In the 19 'Barkley tried to return a lost ball after a center of De Bruyne and ended up assisting Agüero, free in the small area, thanked the opponent and scored the 3-0 without problems. Less half an hour of match and the City already goleaba. In the 24th, Gündogan tried his luck with a low shot and without great pretenses from the front of the area and Kepa was slow to react and he swallowed it 4-0. El City came back for the second half with less intensity, but with the same dominance . And he just did not open the scoring in the 51st minute with a shot by Kun because Kepa made a movie stop. But four minutes later Sterling started diagonally from the left and was knocked down inside the area by Azpilicueta. Penalty that Agüero transformed in the 5-0 and in his hat-trick. Gabriel Jesus, who entered for the Argentine who was standing upright in the stands, could mark the sixth but Kepa again avoided a greater humiliation. But Kepa could not do anything in the 79th minute, when Zinchenko crossed from the left for Sterling his double, the City's 6-0. The other game of the day, Tottenham won with authority to Leicester ( 3-1) and remained in the fight for the title of the Premier. With goals from Colombian Dávinson Sánchez (33 '), Eriksen (63') and Son (91 ') - Vardy scored the only goal of the visitors in the 76' - Pochettino's team reached the 60 points and is five the leaders City and Liverpool.